The Biblical Doctrine of the Church has links to the audio teaching of Jerald Finney on this and other subjects related to the doctrine of the church. Note. This is a modified version of Section II, Chapter 6 of God Betrayed: Separation of Church and State/The Biblical Principles and the American Application. “I know thy works, that thou art neither cold nor hot: I would thou wert cold or hot. So then because thou art lukewarm, and neither cold nor hot, I will spue thee out of my mouth. 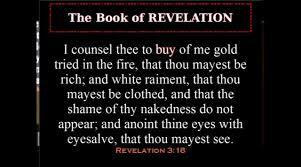 Because thou sayest, I am rich, and increased with goods, and have need of nothing; and knowest not that thou art wretched, and miserable, and poor, and blind, and naked: I counsel thee to buy of me gold tried in the fire, that thou mayest be rich; and white raiment, that thou mayest be clothed, and that the shame of thy nakedness do not appear; and anoint thine eyes with eyesalve, that thou mayest see. As many as I love, I rebuke and chasten: be zealous therefore, and repent” (Re. 3.15-19). “To fall from, one has to be in something first. I believe Laodicea is a church made up of TRUE (thus real) Christians, who nevertheless have fallen away from truth and fellowship with Jesus in their materialism, pride, etc. This church and its pastor (and all true churches in the last days who are Laodicean) will lose the right to reign and fellowship with Jesus when He appears—thus the Lord’s command to be zealous and repent” (See J.D. Faust, The Rod: Will God Spare It? (Hanesville, N.C.: Schoettle Publishing Co., Inc. 2002))! True believers will be glorified (Mt. 13.36-43; Ro. 8.18-23). 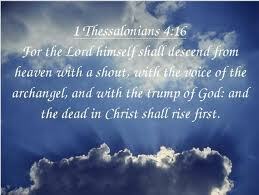 The Lord will rapture the dead in Christ: “For the Lord himself shall descend from heaven with a shout, with the voice of the archangel, and with the trump of God: and the dead in Christ shall rise first: Then we which are alive and remain shall be caught up together with them in the clouds, to meet the Lord in the air: and so shall we ever be with the Lord” (1 Th. 4.16-17). I believe Dr. McGee, C.I. Scofield, and many others—including many fundamental “Baptists” who should know better and would know better if they studied the Bible and their history on the issue–are wrong in their understanding of a “true or universal church.” See “C.I. Scofield’s ‘True Church’ Doctrine”. True believers, according to many Bible students and scholars, will not go through the great tribulation, but will not experience the wrath of God which follows. Some believers make a good argument for a mid-tribulation rapture and many for a post-tribulation rapture. Regardless, the Bible never mentions a “true church” or a “universal church.” “A church” or “the church” is mentioned. However, to go from there to a “true church” or a “universal church” prior to the marriage supper of the Lamb is a leap unsupported by Scripture. Only in the heavenly Jerusalem will a general assembly (what could be called a universal church) come into existence. The “true church” or “universal church” doctrine is responsible for totally disordered churches (which includes most fundamental and fundamental Baptist churches), many of whose doctrines are totally off-base according to biblical church doctrine. The author challenges anyone to take the Bible and prove him wrong; he believes that it cannot be done; but if he can be shown that Bible truth proves him wrong, he will repent publically and adjust his teachings accordingly. The author has been proven to be open minded. He has come to his conclusions based upon many years of study of the Bible, the only source which can give the correct answer. He had to abandon much of what he had been taught over twenty-five years of faithful church membership and attendance. Of course, over that period he had not been taught much, because most pastors do not get into the deeper things of God (such as the doctrine of the church, the doctrine of government, the doctrine of separation of church and state, etc.) with the church bodies they are entrusted with. As one pastor who will go unnamed said,” I don’t do that because many of the members of ____ Church would not bear it.” Most pastors learn their doctrine of the church from Bible College of from other Fundamentalists who have bought the traditional anti-scriptural teachings on this matter. Ecclesiastical Babylon (apostate Christendom, the harlot whom many biblical scholars logically conclude will be headed up under the Papacy and which will at that time condone every iniquity of the rich and will be corrupted to the core by commercialism, wealth, and luxury; the “universal church on earth”) will be destroyed by political Babylon, that is by the nations; and political Babylon, the nations, will be crushed by Christ when they come against Israel at the end of the tribulation (See Re. 17.15-18). All this will happen because men choose to succumb to Satan’s principles in order to satisfy their lusts. Jesus proclaimed, “And I say also unto thee, That thou art Peter, and upon this rock I will build my church; and the gates of hell shall not prevail against it.” He was speaking of the institution of the church which was to be made up of local, autonomous, spiritual bodies. Paul, in his epistles laid out the doctrine of the church. The only “churches” one sees in the Bible on earth until the marriage supper of the lamb, are local, autonomous spiritual bodies. One can refer to the other chapters in this section on the biblical doctrine of the church for much more information on this matter. 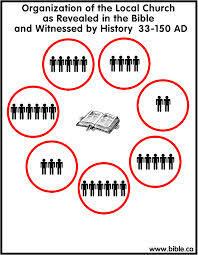 There will one day be a “universal church.” “But ye are come unto mount Sion, and unto the city of the living God, the heavenly Jerusalem, and to an innumerable company of angels, To the general assembly and church of the firstborn, which are written in heaven, and to God the Judge of all, and to the spirits of just men made perfect” (He. 12:22-23). 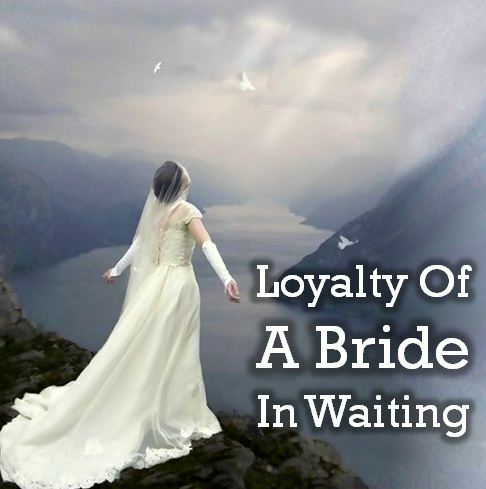 That church will come into existence at the marriage of the Lamb: “Let us be glad and rejoice, and give honour to him: for the marriage of the Lamb is come, and his wife hath made herself ready. And to her was granted that she should be arrayed in fine linen, clean and white: for the fine linen is the righteousness of saints” (Re. 19:7-8). “And there came unto me one of the seven angels which had the seven vials full of the seven last plagues, and talked with me, saying, Come hither, I will shew thee the bride, the Lamb’s wife. And he carried me away in the spirit to a great and high mountain, and shewed me that great city, the holy Jerusalem, descending out of heaven from God” (Re. 21:9-10). Until the universal church is established by Jesus Christ, we should listen to Jesus and Paul on this matter. Jesus said, “Husbands, love your wives, even as Christ also loved the church, and gave himself for it; That he might sanctify and cleanse it with the washing of water by the word, That he might present it to himself a glorious church, not having spot, or wrinkle, or any such thing; but that it should be holy and without blemish…. For we are members of his body, of his flesh, and of his bones.” (Ep. 5:25-27, 30). Paul wrote, “For I am jealous over you with godly jealousy: for I have espoused you to one husband, that I may present you as a chaste virgin to Christ” (2 Co. 11:2). The great whore on the beast with multible heads. The beast with the multiple heads is Satan. The Great whore is the Church.